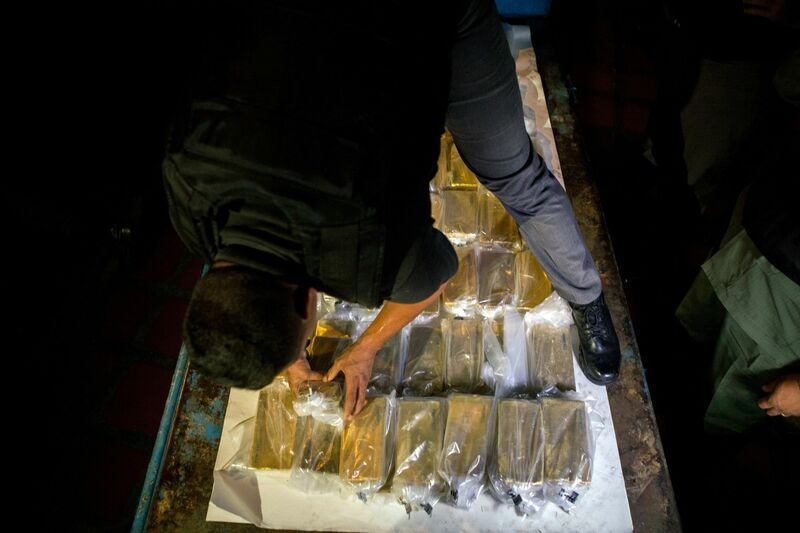 Commonsense & Wonder: Venezuela: Maduro's looting the Treasury takes a step upmarket. Is he just saving the people from consumerism? Venezuela: Maduro's looting the Treasury takes a step upmarket. Is he just saving the people from consumerism? Nicolas Maduro and Recep Tayyip Erdogan in Ankara on Oct. 6, 2017. Long one of America’s most valued partners in a region straddling Europe and the Middle East, Turkey has increasingly found common interests with authoritarian countries such as Russia, China, Iran and Venezuela. When National Assembly leader Juan Guaido declared himself Venezuela’s rightful president last month, the U.S. and many other Western countries rushed to declare their support for him. 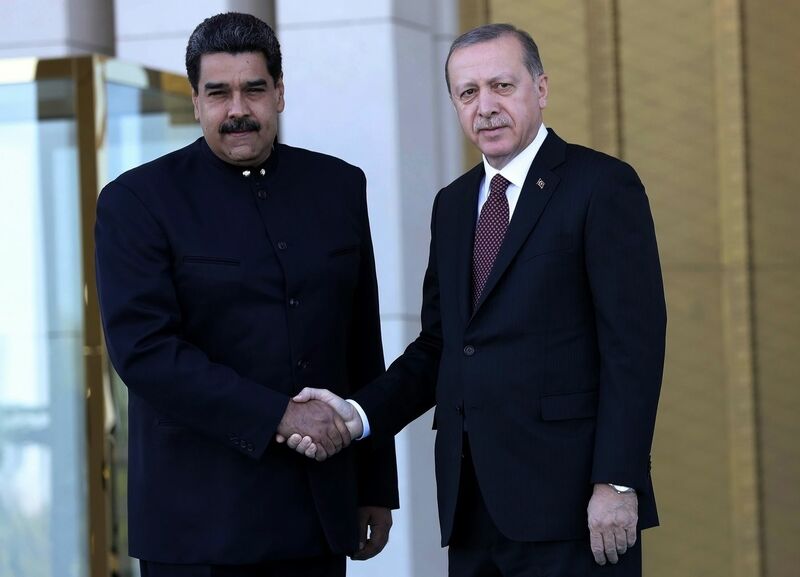 Turkey aligned itself with those behind Maduro. It’s unclear what underpins Turkey’s support for Maduro beyond a general opposition to U.S. meddling and efforts to overthrow nominally-democratic governments. Erdogan faced a coup attempt in 2016 and has fashioned himself as a champion of elected leaders everywhere, even where votes were widely considered neither free nor fair. Economic ties between the two nations are barely a factor: Venezuela doesn’t rank among the top 20 trading partners for Turkey, according to data compiled by Bloomberg. 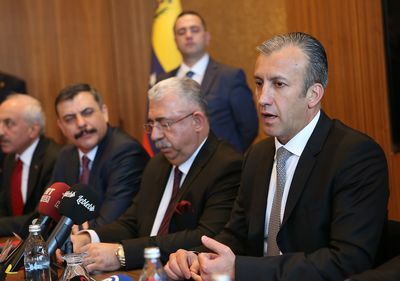 Tareck El Aissami at Ahlatci’s refinery in Corum on Jan. 16. An Ahlatci executive was among business leaders who last week met Marshall Billingslea, an assistant secretary at the U.S. Treasury responsible for combating terrorist financing, who was in Turkey on a twice-yearly visit, according to a participant in the meetings. Billingslea warned the group to avoid dealing with what he called El Aissami’s “blood gold,” the person said, asking not to be identified discussing a private meeting. Turkey’s financial assistance to U.S. enemies is only one of the issues souring once-close relations. Turkey has also been threatening to send its military, the second-largest in NATO, to attack Kurdish forces in Syria that the U.S. backs. And the Turkish cleric that Turkey blames for the 2016 coup attempt, Fethullah Gulen, lives in Pennsylvania. The U.S. has so far rebuffed Turkish attempts to get him extradited. That bad blood means the nations can no longer be considered friends, leaving them to negotiate purely on a transactional basis, according to the two U.S. officials, who asked not to be identified discussing such matters. While Trump has at times taken a hard line on getting Turkey into line with U.S. goals -- he said last month that any action against the Kurds would “devastate Turkey economically" -- other U.S. officials are taking a more measured approach. “President Trump has expressed his interest in expanding the trade relationship between the United States and Turkey, an avenue considerably more profitable than anything Maduro might have to offer," White HouseNational Security Council spokesman Garrett Marquis said. That ranking of foreign policy and trade priorities isn’t lost on Ankara, according to Ozgur Unluhisarcikli, head of the German Marshall Fund of the United States office in the Turkish capital. When a showdown with the U.S. over its continued detention of an American pastor led to U.S. sanctions against two Turkish ministers last summer, the Turkish lira went into a tailspin and brought the economy to the brink of collapse. The crash probably pushed Turkey into its first recession in a decade.